Envisioned and designed to build a “new type of inner city habitation,” Mayor Jerome P. Cavanagh released the final report for the Gratiot Redevelopment Project in 1964. Detroit was the first city in the United States to implement residential redevelopment under the Federal Housing Act of 1949. The legislation, part of Harry S. Truman’s domestic program known as the Fair Deal, greatly expanded the federal government’s role in public housing. 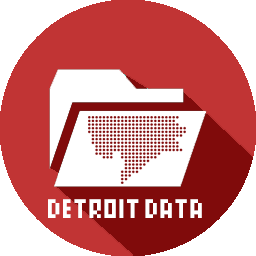 It created specific plans for slum clearance and began a series of projects that would drastically change the lives of Detroit’s Black residents. The Gratiot Redevelopment Project cleared 129 acres, most notably, the Black Bottom and Paradise Valley areas, which displaced Black families and businesses. The demolition of entire neighborhoods to make way for an interconnected freeway system, a cornerstone of the city’s urban renewal program, perpetuated decades of racially motivated housing policies that led to an even greater confinement of Black Detroiters to certain areas of the city. Systemic discrimination at every level created a disadvantaged class of Detroit residents who were at risk during, and rarely benefited from, these urban renewal initiatives. Brochure caption: Chateaufort Place Cooperatives, a group of 60 attached dwellings in 16 single-level buildings, was originally to be named Orleans Townhouses Cooperatives. The townhouses offered “the pleasures of a private home with the conveniences and financial advantages of cooperative living.” The majority of residents displaced by Chateaufort’s construction could not afford to move into the cooperative. Situated near the Mies van der Rohe-designed Lafayette Park, as indicated on the brochure’s map, Chateaufort Place was built in 1963 and still houses Detroit residents today. c. 1962. Courtesy of Walter P. Reuther Library, Archives of Labor and Urban Affairs, Wayne State University.